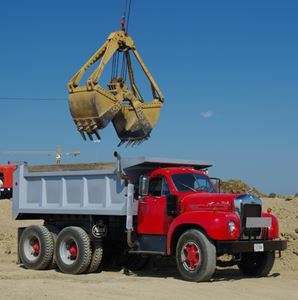 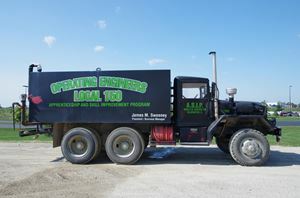 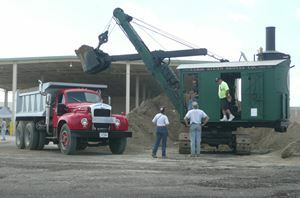 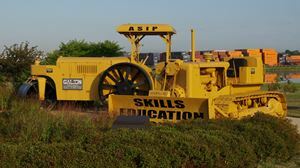 Local 150's restored circa 1925 Erie Model B steam shovel is ready to load the McDonnells' 1961 Mack B61 dump truck. 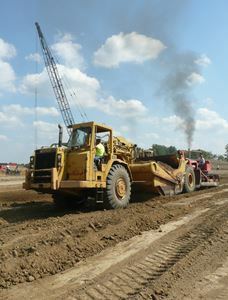 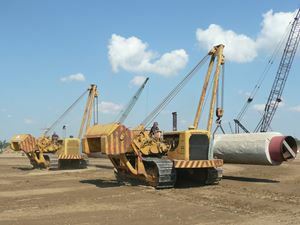 In the first demonstration of pipelaying at an HCEA Convention, the two Cat 583H pipelayers transport a length of pipe. 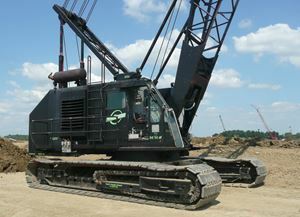 Each 583H can lift up to 70 tons. 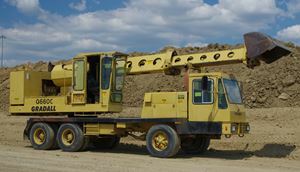 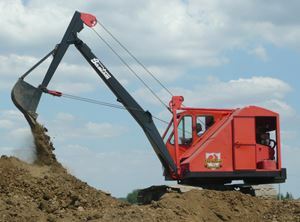 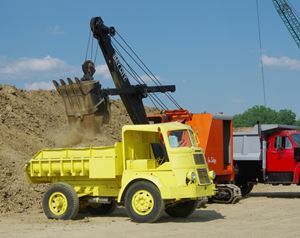 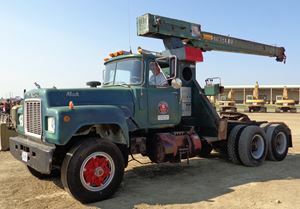 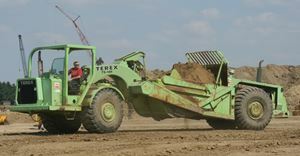 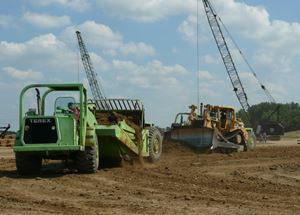 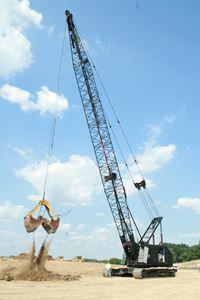 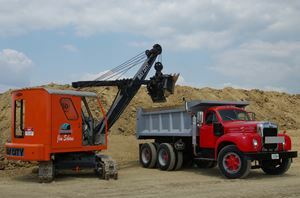 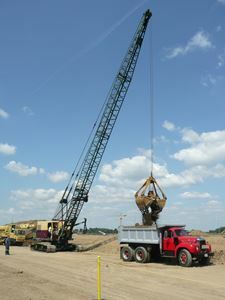 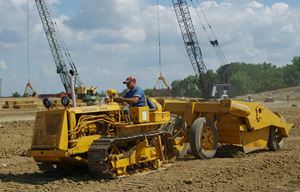 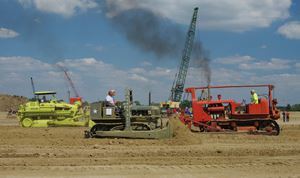 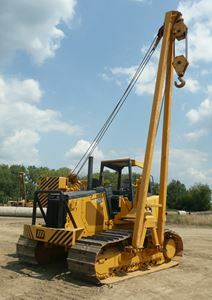 The Terex "TS14H" scrapers are TS14Bs with Deere engines (to meet emissions and fuel efficiency standards) and updated ejectors. 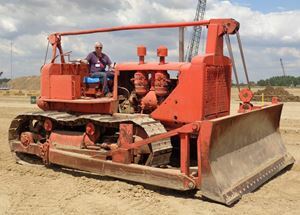 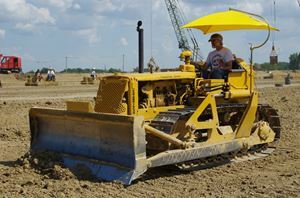 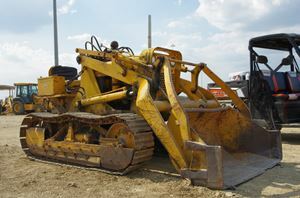 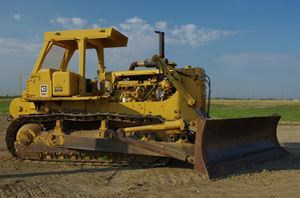 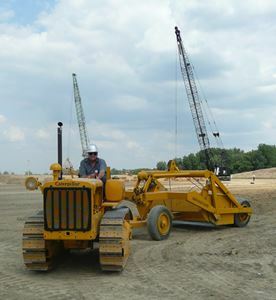 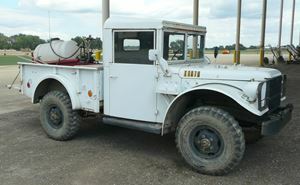 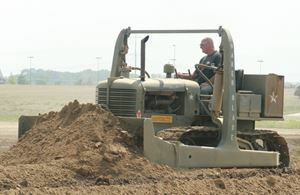 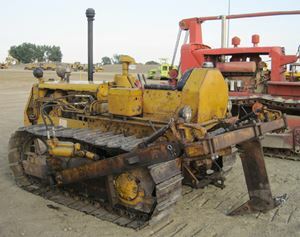 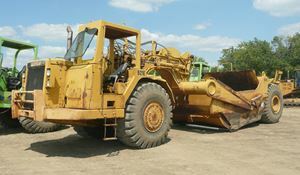 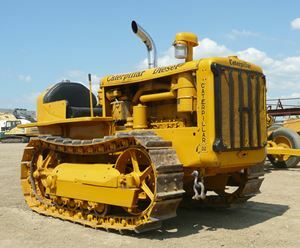 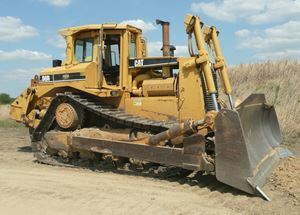 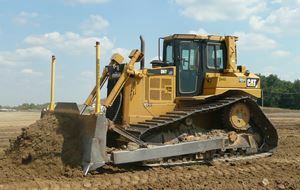 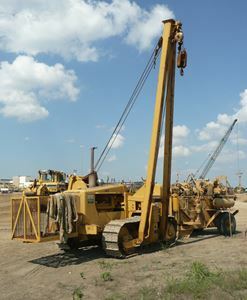 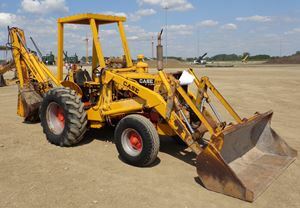 This U. S. Army surplus 1976 Cat D8K from the ASIP fleet models an 8A hydraulic angle dozer. 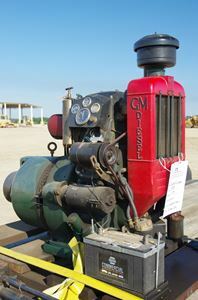 The ASIP shop also restored this Russell Standard No. 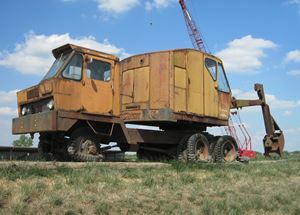 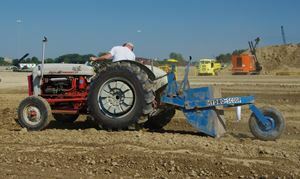 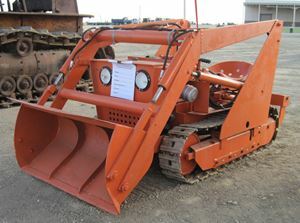 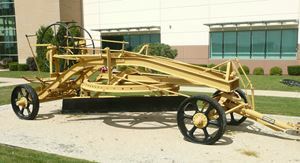 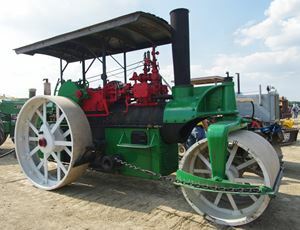 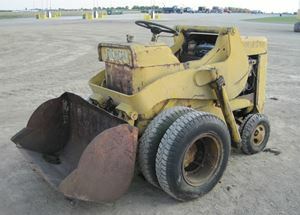 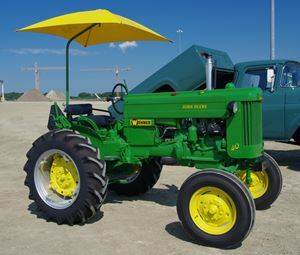 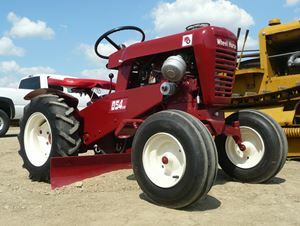 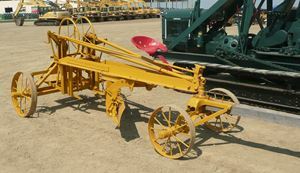 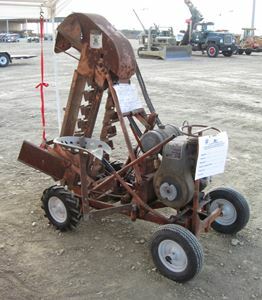 1 pull grader. 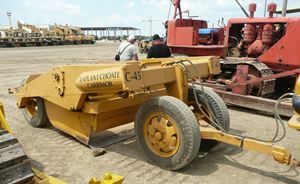 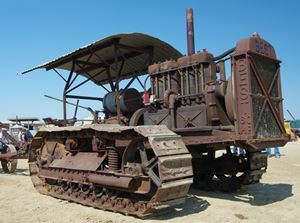 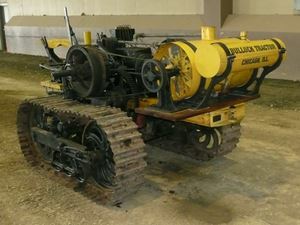 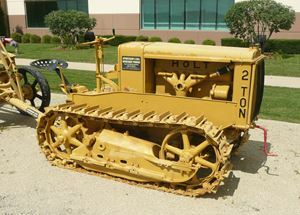 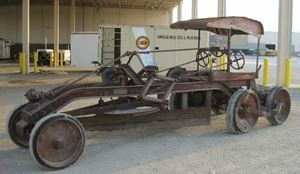 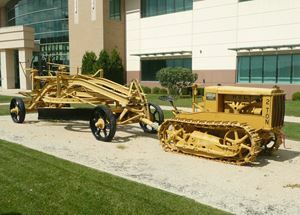 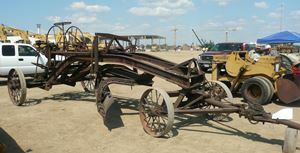 It was built circa 1927, and Cat acquired Russell Grader in 1928. 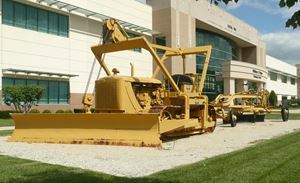 This undated J. D. Adams Giant Road King is on display in front of the ASIP building. 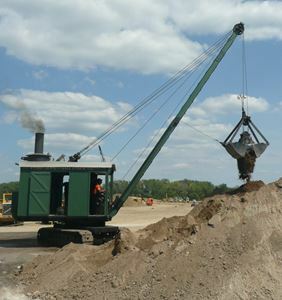 Local 150’s restored circa 1922 Erie Type B steam clamshell crane makes the dirt fly. 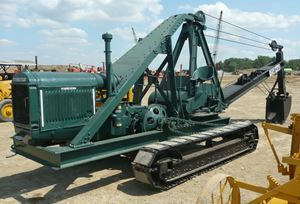 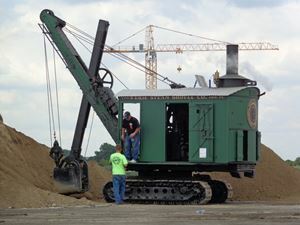 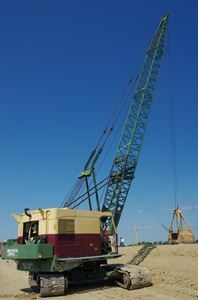 Type B steam shovel with one of the two tower cranes on site looming over it in the background. 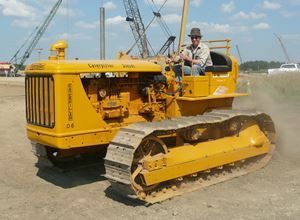 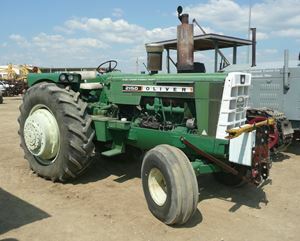 Justin Click of Hobart, Indiana, owns this Best 60.